Angela Morrison's liv2writ: Write What you Know? Bleck! What's the Opposite of Chewbacca? Write What you Know? Bleck! When I was younger, I detested this age-old advice to writers. What did I know? Would anyone really want to read about a pig farm . . . oh, I mean wheat farm in a tiny town on the Idaho edge of Washington? And the grumpy Mormon girl imprisoned within its walls? Write what I know? Yuck. I was too busy fleeing to even consider that. I am positive, “Write what you know,” gave me writers block for decades. But when I found myself in a safe, supportive place with a mandate to create, what did I do? I went home. I longed for what I’d known so long ago. I was far, far away, but could go home in my imagination. 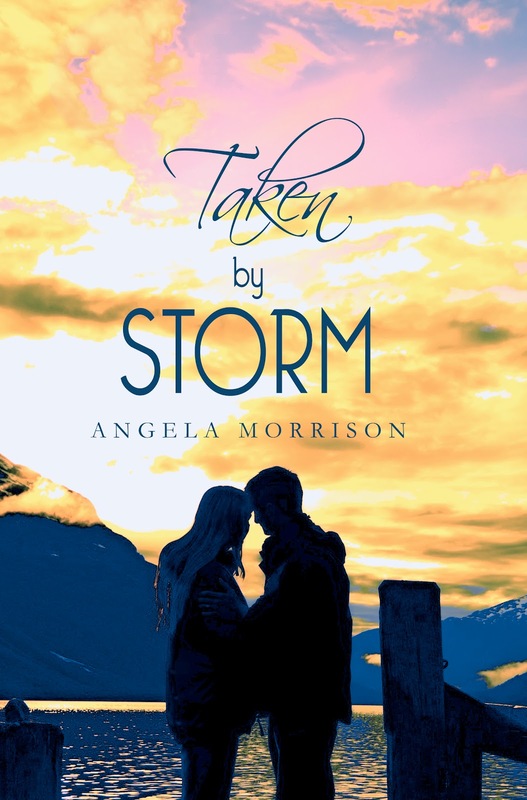 I didn’t realize how homesick I was until I started writing TAKEN BY STORM. So, I pass this adage on to you with a twist and a cautionary tale. I don’t want you to experience decades of writers block or end up writing a horrid self-absorbed tale that is great therapy but lousy art. What you know tomorrow is different from what you know today. That is the beauty of it. As we learn, discover, test, experience, what we know grows and grows. What we can pull out of our lives and put into our creation increases every day that we open our eyes and look around, read a new book, watch a documentary, listen to the news, or touch someone we love. Great. I’d totally failed. Messed it up. “Write what you know,” was garbage after all. Ron recognized the strengths of the chapters I’d written and wouldn’t let me junk them. He made me revise. I cut the nasty high school experiences that didn’t fit and left the one that did. I gave Leesie long beautiful hair and a thrift store leather jacket. Michael totally fell in love with both. Then I started listening to both of them. A lot. They would wake me up in the middle of the night. I’d crawl out of bed and dash for my office where I could turn on a light without waking up my husband and scribble down another online chat. As the story grew, it started swallowing up everything in it’s path. Not only my own memories and experiences, but everything and everyone around me, including books I’d read, movies I’d seen, even a yellow Valentino tie we bought for my brother-in-law when he and my sister-in-law watched our kids. Ebay and Facebook, church dances, and hill jumping, all fed my voracious stormy story. Yeah, write what you know--but let it breathe. Let it germinate. Let it grow. And it will surprise you as much as TAKEN BY STORM surprises me every time I open its cover. New eBook and paperback cover! BOOK BOMB for CARIBBEAN CROSSROADS!! There is always something to read.